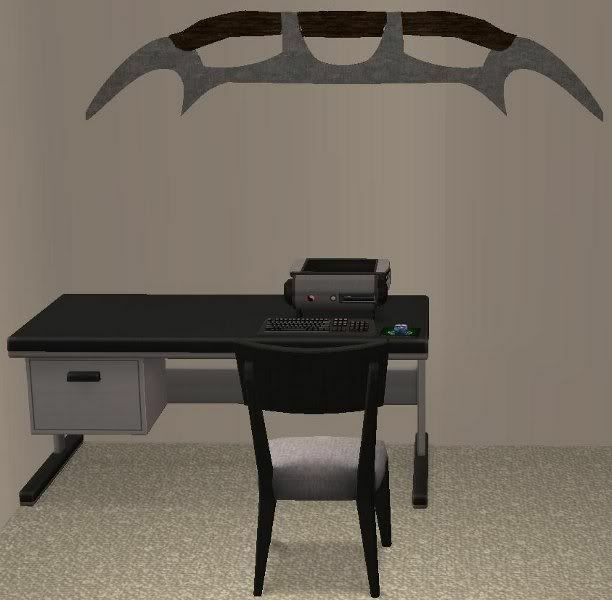 This is a Bat'leth wall hanging. It's like the kind Worf had in his quarters on the enterprise in Star Trek: The Next Generation. Found in decorative/Wall Hangings and cost is 350 simoleons. Enjoy! What computer is that on the desk? It comes with the Base Game it's called Little Sister something.